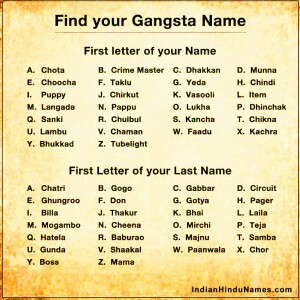 Here is a list of funny Indian gangster names which you can look and have a good laugh. 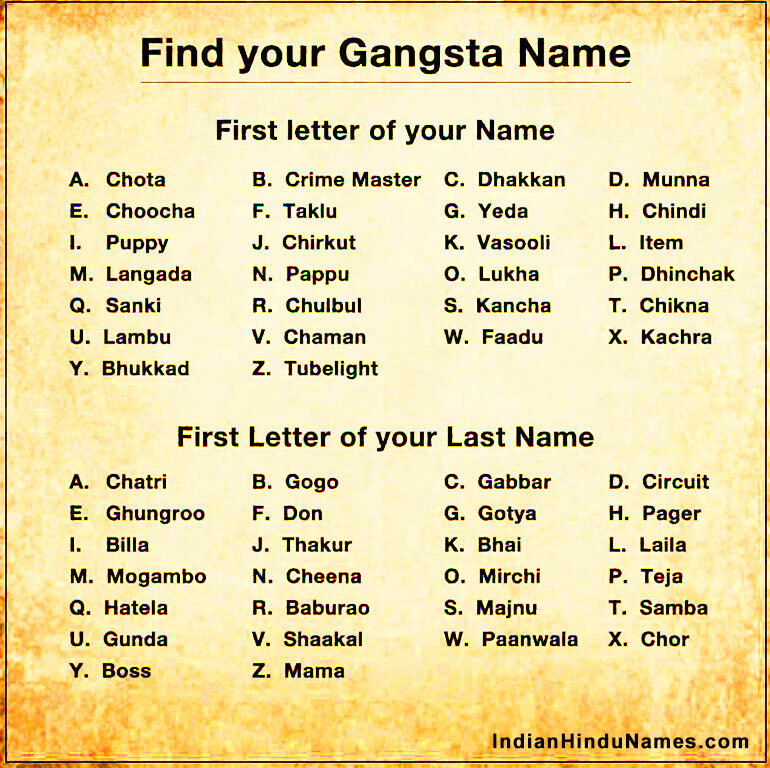 You can choose a funny name as per your first alphabet of first name or first letter of last alphabet. Sure, fun guaranteed, do forward to your contacts.